We use a phonetically decodable reading scheme which allows pupils to apply their blending skills in the books which they are reading. 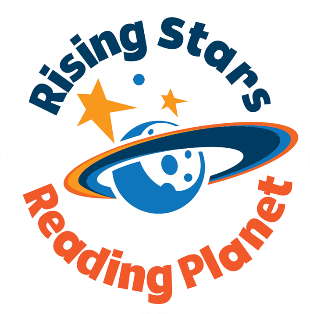 Our reading scheme includes a mixture of Oxford Reading Tree books, Bug Club and Rising Stars Reading Rockets. 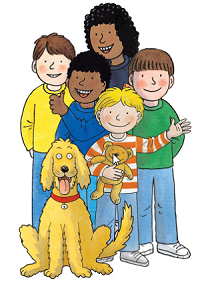 Oxford Reading Tree features some very friendly character whom your children will grow to love…. 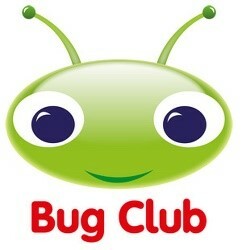 Bug Club books feature a wide range of characters, stories and non-fiction. 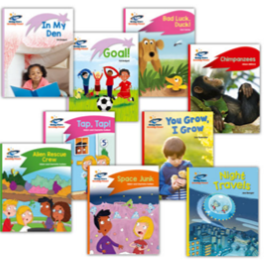 Rising Stars Reading Planet are our newest books and again feature a wide range of characters, stories and non-fiction. 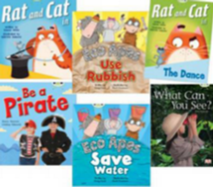 In addition to a comprehensive reading scheme to support the development of fluent, confident and accuate reading, we also incorporate a wide range of real books and longer novels into reading, particularly as pupils progress into KS2. Our reading scheme is colour coded, with year group expectations as below. Children are taught to read through a mixture of experiences; guided reading (small groups with an adult), whole class reading (listening to and reading aloud a longer text or a novel), individual and independent reading. Crucially, no reading is as important as READING AT HOME. We truly believe that reading is the greatest gift we can give our pupils – so please help us to make sure every one of our pupils leaves Oakwell Rise with the reading skills they need to ensure their future success. Reading to your child or with your child, even for ten minutes a day, is 3,640 minutes (over 60 hours!) of reading a year, and 29,120 minutes in their primary career (over 485 hours). 16% of adults (around 5.8 million people) in England and Northern Ireland score at the lowest level of proficiency in literacy (at or below Level 1). 43% of children read daily outside of the classroom. One child in seven does not have a book of their own at home. Surveys of literacy attainment have been going on in the UK since 1948. The main finding is that literacy standards have changed very little in that time. Pupils who enjoy reading very much are 3 times more likely to read above the expected level for their age as those who don’t enjoy reading at all. Those who struggle to read are more likely to be unemployed or on a low wage. Only 6 in 10 children and young people have a favourite story. Most children in England do not read on a daily basis: in 2011 just over a third (37%) of 10-year olds surveyed reported reading for pleasure every day. National Literacy Trust research shows that 43% of boys say they enjoy reading compared with 58% of girls. By the final year of schooling, the reading skills of English children from disadvantaged backgrounds are on average two and a half years behind those from the most affluent homes. England is the only country where 16-24 year olds have lower literacy and numeracy skills than 55-65 year-olds, out of 24 OECD countries. Studies show a positive correlation between functional illiteracy and crime, with over half of all prisoners with literacy levels below that of an 11 year old. Together, we can give our children the gift of reading and unlock choices about their future. Read with your child (each of them!) for just 10 minutes a day. Ask them questions about what they have read and are reading. Ask them about the meaning of particular words – and if neither of you know, Google it! Bring that book bag every day! Write in their reading record – just a simple well done or smiley face makes all the difference. Buy them books, from time to time. The Scholastic Book Fair is in school termly – make it your mission to buy a book each time the book shop comes to Oakwell Rise! Encourage, encourage, encourage; praise, praise, praise.